Assignment: The student is to draw the dot or stick molecular structures of 37 compounds and three elements. This packet is to be submitted hard copy by last class meeting or electronically by last day of the term. 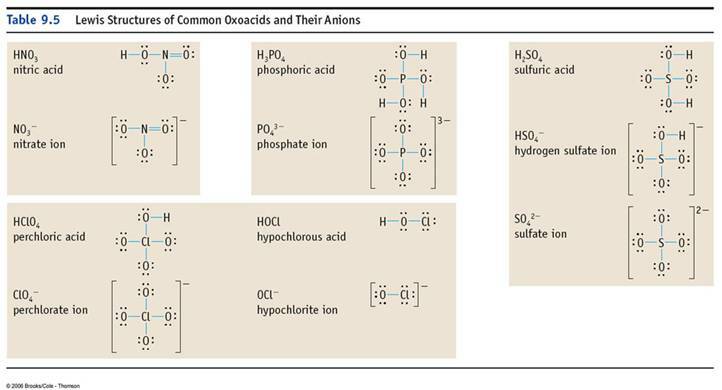 In Section 6.5 our author does not list a process for drawing dot structures of molecules as in most text. He discusses what a single, double, and triple covalent bond is. He states that a covalent bond consist of the sharing of one electron from each atom to make the bond. There is also what is called a coordinate covalent bond, where one atom provides both electrons to a shared pair. He also discusses what a lone pair of electron is (or an unshared pair of electrons). He says that they do not have to be shown. For this project you have show the all the lone pairs. He also favors the stick/dot method for drawing the structures. 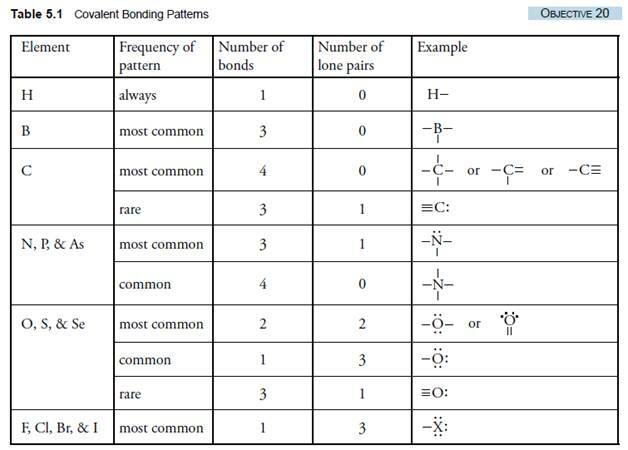 The following is an excellent table which shows you the variations on many nonmetals showing bonding via the octet rule. (Rule of 8). 2. Beryllium follows the rule of four. The table leaves out some of the nitrogen (phosphorus, arsenic) variations in the rule of 8. 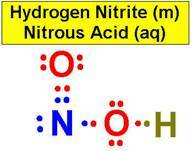 Nitrogen has three bonds and a lone pair. There could be a double, single, and lone pair as a second variation. Nitrogen could also have a triple covalent bond and a lone pair as a third variation. Most organic molecules follow the octet rule as carbon always has four bonds, never a lone pair (except carbon monoxide). 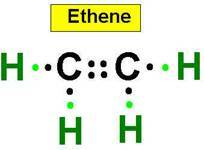 We can us the octet rule for over 99% of the of the molecular structures. 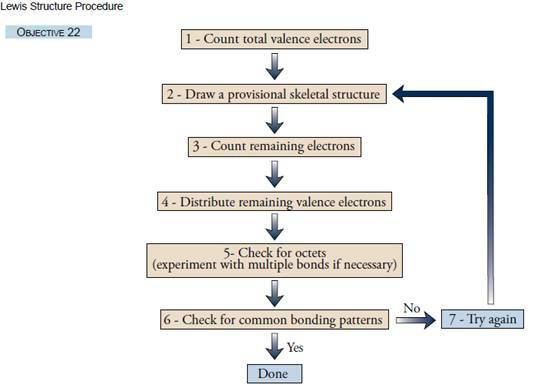 However, most published books use the Mathematical method to determine the covalent bonding structures and sometimes even though the octet rule can be used to explain the structure. Sometimes structures of 10, 12, 14 or 16 electrons are around a single atom. For this course we will use the octet rule, the duet rule for hydrogen and the rule of six for Boron to keep it simple. 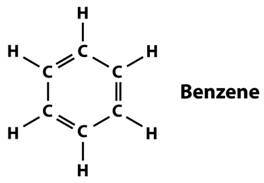 Place the nonmetal which is not oxygen or hydrogen in the middle of the structure. First using all single bonds, hook all oxygen atoms in the formula to the central nonmetal (Simple covalent or coordinate covalent bonds). Never hook oxygen to oxygen except in peroxides, O2, O3(ozone). 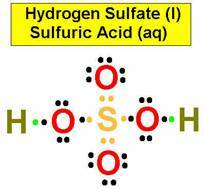 If oxygen is present, hook the hydrogen written first in the chemical formula to an oxygen. Hydrogen requires only two electrons to fill it's orbital. (Notice the change in the polyion's charge when a hydrogen is placed on the oxygen in a polyion). If hydrogen is written second in the formula after another nonmetal, then hook that hydrogen to that nonmetal, not to oxygen such as (CH3-COOH written organically) acetic acid HC2H3O2 or oxalic acid H2C2O4 both hydrogen atoms are attached to separate oxygen atoms. If using all single bonds connecting the oxygen to the central nonmetal, the count of electrons around each element should total eight electrons (octet rule). This includes the element's original outer surface (valence) electrons plus the electrons being shared from the bonded element (Hydrogen-rule of 2). If the count is 7-7, then add a second bond, a double covalent bond (four electrons being shared between two atoms. If the count is 6-6, then make a triple covalent bond between the two elements (six electrons shared between the two atoms). a. Never have an unshared pair or lone pair of electrons on a carbon atom (except carbon monoxide, CO). b. These are two dimensional structures, so there are many variations of the answer shown on the web site. 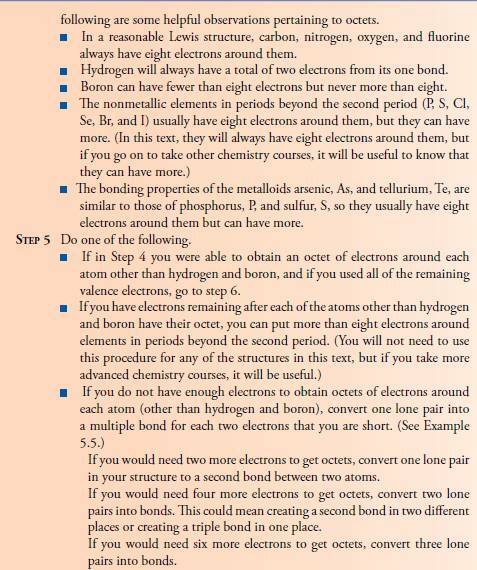 c. Never have more than two bonds to any oxygen (except CO). If you place hydrogen to an oxygen, then oxygen HAS to attach to another element by a single bond, never a double bond. d. If you look carefully at the Dot Structure Data Page Packet you will find links to the answers. h. A high School teacher on Long Island, Mr. Kent, has Interactive chemistry web pages. 1. Decide on the central atom (usually not oxygen or hydrogen). The central atom is usually the one with the lowest electron affinity. 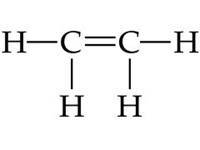 In formaldehyde, CH2O, the central atom is carbon. 2. 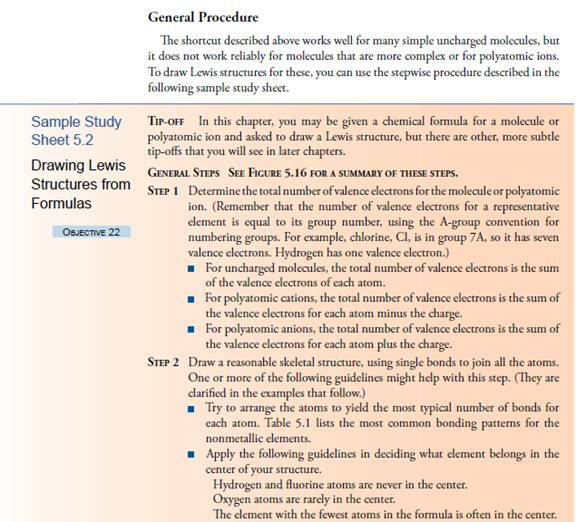 Determine the total number of valence electrons in the molecules or the ion. 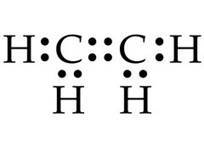 In a neutral molecule this number will be the sum of the valence electrons of each atom. For a negative ion add the charge to this total number. For a positive ion subtract the positive charge from this total number. For CH2O: C=4, H=1(x2) , O=6 this would be 4+2+6 = 12 total valence electrons. 6. If the central atom has fewer than eight electrons at this point, move one or more of the lone pairs on the terminal atoms in a position intermediate between the center and the terminal atom to form multiple bonds. 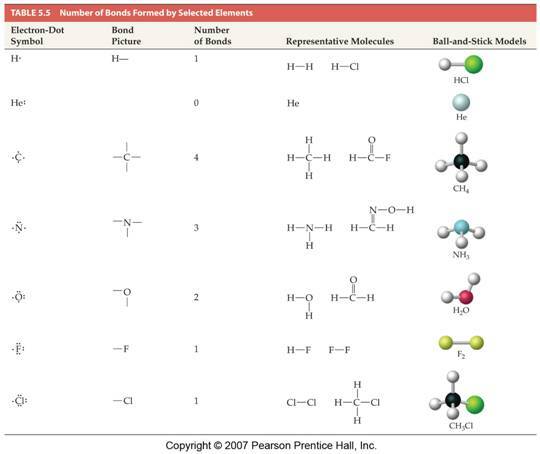 (As a general rule double or triple bonds are formed when both atoms are from the following nonmetals: C, N, O, S. That is, bonds such as C=C, C=N, C=O, S=O will be encountered frequently.